Kicking it up a notch for this Friday edition of 10 Days of Vegan Stampede. Today on the menu: The Hottest Vegan Pizza. Super spicy, and full of flavour – even my spice-loving husband was sweating a little! 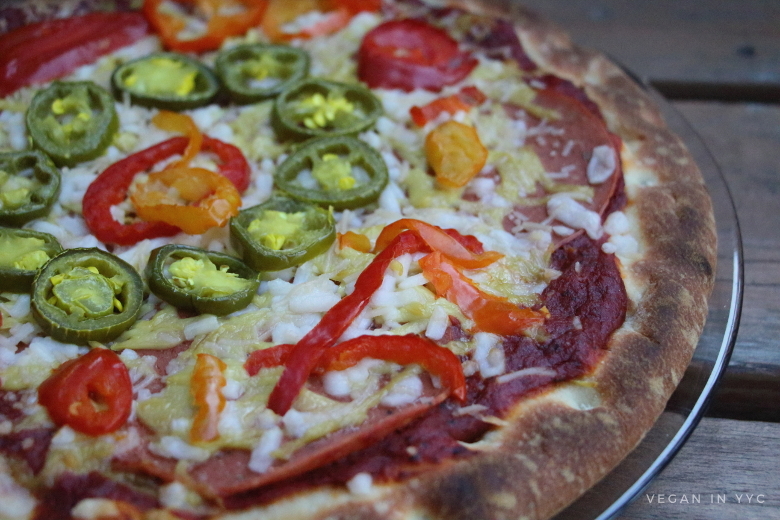 A spicy tomato base with Yves salami, 3 kinds of vegan cheese and both banana peppers AND jalapenos on top. My mouth is burning just thinking about it, lol. This pizza is perfect for anyone that likes it super spicy; this is not for the faint of heart or weak of tongue. I took one bite before my mouth started to protest, but my husband loved it, proving he’s clearly the spicier of us two. 😉 And if you like it hot, I’m sure you’ll love it too; let me know down in the comments. Stir the hot sauce into your pizza sauce, and apply it to the top of the pizza shell, using the back of a spoon to smooth it. 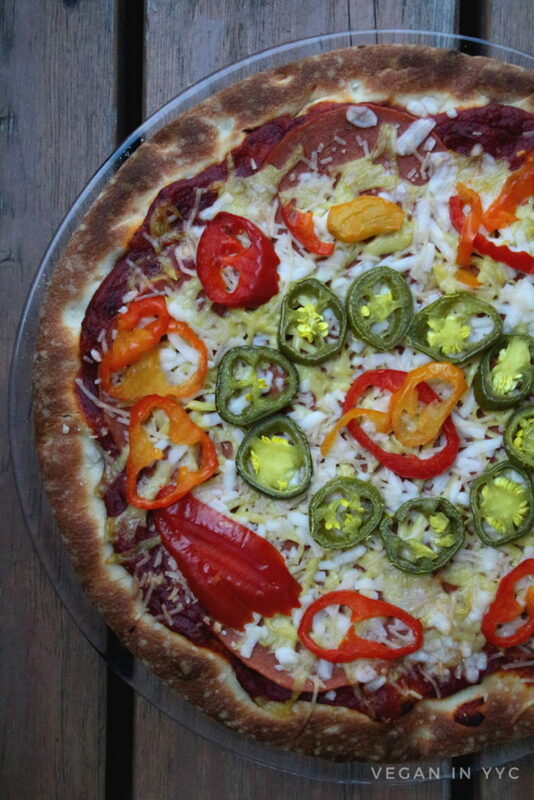 Add the vegan salami, the cheeses, banana peppers and jalapenos. Bake according to the directions on your pizza shell; broil for two minutes at the end to help the cheese melt. Let sit for 5 minutes, slice, and serve.